Product #15887 | SKU BTR-HERO3-JWP-001 | 0.0 (no ratings yet) Thanks for your rating! 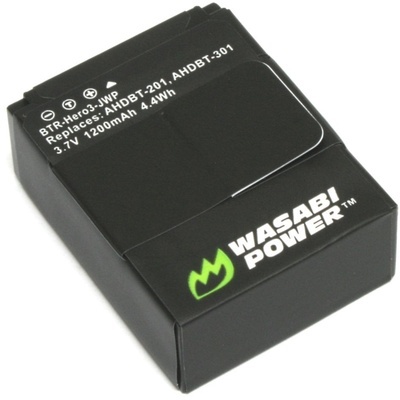 The Wasabi Power Hero3 battery comes with 1200mAh to provide extended power for all the GoPro HERO3 and HERO3+ cameras. They can be charged in the GoPro HERO3 camera or with the Wasabi Power LCH-Hero3 wall charger. Batteries are fully compatible with the GoPro HERO3 camera and power accessories and come with a 3-year manufacturer warranty.